All good news. Someday I will post bad news. Maybe. Maybe not. No. They have an awesome site of their own now. With news. And links. And guidelines. And forthcomings. And goods. They have things. And it is awesome. They are awesome. The Aqueous. And the things. All awesome. 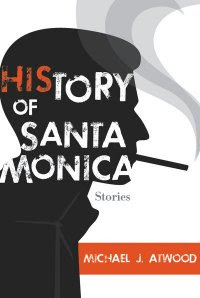 The HiStory of Santa Monica by Michael J. Atwood is available for pre-order. Very much. ALSO! Keep an eye out for new books by Heather Fowler, Mel Bosworth, and Alec Bryan. YES! DO! THANK YOU, AQUEOUS BOOKS! HOW YOU GROW SO QUICKLY! ONCE A TINY IMPRINT OF PRICK OF THE SPINDLE BUT NOW...BUT NOW! As part of the media blitz for Aqueous and my forthcoming novella Grease Stains, Kismet, and Maternal Wisdom, I've created a blog, Twitter account, and Facebook Fan Page to inform, to annoy, to entertain. Please partake at your leisure. You'll be able to pre-order before you know it. A cappella Zoo. I see it all over the place. I see that it's filled with a ridiculous amount of talent. I see that. Sally Weigel's Too Young to Fall Asleep. I see this all over the place too. I see Sally being interviewed by Jason Jordan. I hear her read on the Orange Alert podcast. I see CCLaP. 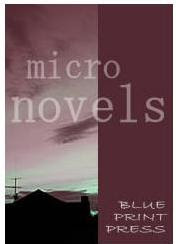 I see Blue Print Review calling for submissions of micro novels. I see I see Eye Sea! BIG THANKS, e-bones. for everything. Yes, congrats on your forthcoming release!